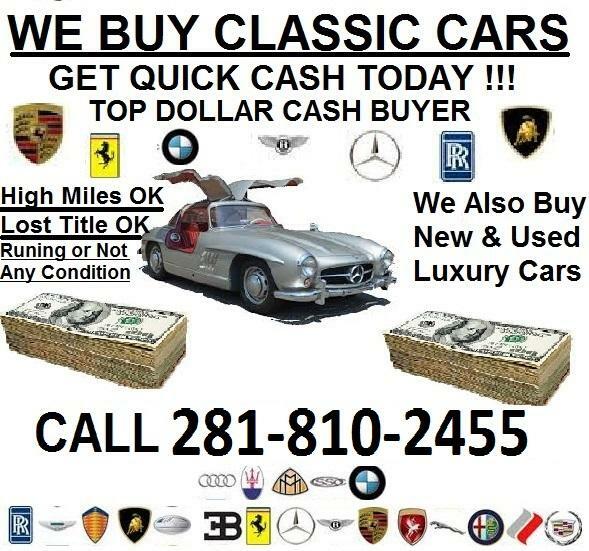 WE BUY CARS & TRUCKS - WE ALSO BUY CLASSIC CARS !!! We buy cars and trucks in any condition, Even if not running. Any year, any make, any model. Lost title okay !! No problem we buy cars and trucks with no titles. Salvage title okay !!! we make car buying easy. For free quote please text pictures to the number above.